Hello! Hope we are all well today people. 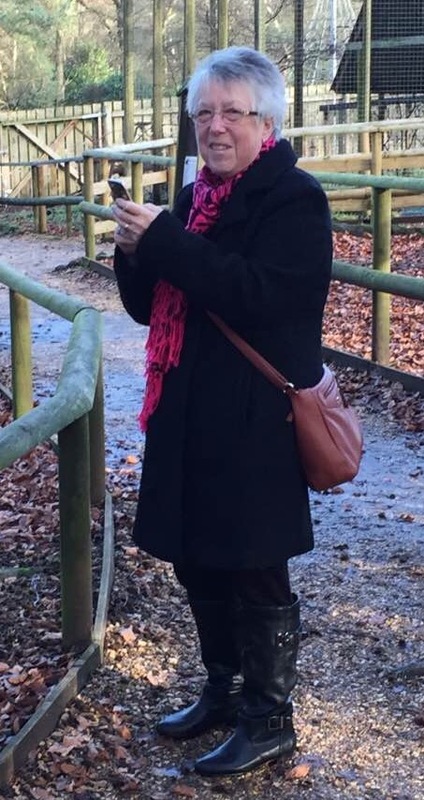 I’ve been wanting to share a story with you for a while now, and it gives me great pleasure to introduce Brenda, who is a great inspiration, and very active in raising awareness of IBD and supporting people who have Crohn’s or Colitis. Four years ago at the age of 63 I was diagnosed with Crohn’s disease. I’d had diverticulitis for over thirty years but suddenly developed other symptoms. I was diagnosed very quickly and put on medication and for around a year I was reasonably well. 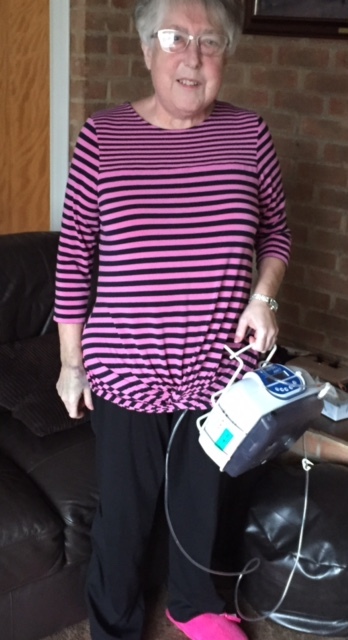 In September 2013 I was given a stronger drug called Azathioprine and within ten days I was hospitalised with pancreatitis. This was the start of the worst two years of my life. Different drugs were tried but they all made me so ill I became housebound. In fact I only moved from the settee to go to the toilet or back to bed. Several hospital admissions followed but nothing improved until one day I attended the clinic for a colonoscopy (I hadn’t had a repeat one since the diagnosis one). When I say I crawled into the reception I’m not exaggerating and the nurse took me straight through and put me at the front of the queue. The dr looked at me and said I needed to be admitted and refused to do the procedure but I begged as I desperately needed an answer. In less than five minutes he discovered I had a stricture so tight it was almost closed. That was a turning point as I was then referred to the surgeons to have a sub total colectomy and illeostomy. I had the surgery in September 2014 and unfortunately didn’t feel any better. I kept saying its six weeks/ten weeks and so on and couldn’t understand why I still felt so ill. Another colonoscopy showed that I had pan colitis and the Crohn’s was through all the colon I had left. At the same time my surgical wound kept leaking and my surgeon said it was liquid fat seeping out. In February 2015 five months post op it was discovered that I had an abscess under the scar. The surgery to remove that left me with a gaping hole and a heavy vacuum pump attached which didn’t do what it should as it was too close to my bag so that they compromised each other. One or the other would leak. After six weeks they had to remove the pump and I had to have packing and dressing alternate days instead. Finally in June nine months after the initial surgery the wound closed and I felt reasonably well but was put on methotrexate which made me feel awful again but seemed to get me in remission. Thanks for sharing your story with us Brenda, quite a story. Thanks for reading people, and as always if you have an IBD and would be happy to share your story with us do get in touch. This entry was posted in Awareness, What's your story? and tagged Crohn's Disease, Crohns and colitis awareness, Crohns and Colitis UK, Determination, Surgery. Bookmark the permalink.